“Variations on a Theme” with endless design possibilities. "Visually Cohesive Images" are adaptable to site specific needs. "Sensuality of Movement" is introduced with sheer fabrics. 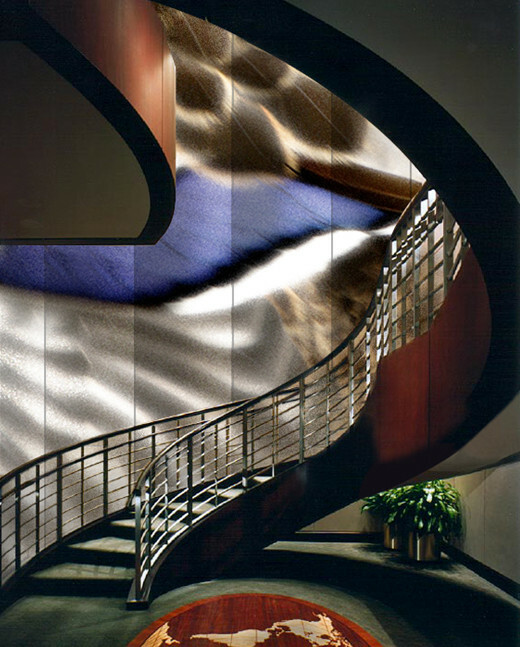 "Dramatic Depth" is created by layering sheer panels. "Lighting Transforms" color, volume, shade and tone. Panels are printed on natural and synthetic fabrics and papers. We will customize them to suit your needs with color, materials and sizes.